I was startled this week and a little unnerved to receive a notification on my twitter feed about a man who was wanted in relation to a sexual assault at Tingalpa in Brisbane. The suspect had allegedly forced a woman at knifepoint into bush land where he sexually assaulted her in broad daylight. It was a heinous crime indeed but just as disturbing was the comfit that accompanied the notice. When was the last time you looked closely at a police comfit? Have you seen one lately. They’re incredibly detailed. Not just hair or eye colour. They don’t just convey the shape of the nose or the turn of their lips or whether the ears stick out. Comfits today can convey so much more, the tiredness of the eyes, the texture and pores of the skin, the type of hair product used. You can even tell the attitude of the suspect from the way the muscles on the brow and around the mouth are set. You can practically look into the faces of these comfits and see the personality of the suspect, so good is the molding of features to bone structure. They don’t just convey the image of the suspect, they convey the human. It was because the face in the Tingalpa suspect’s comfit was so normal, so everyday, and so human that I was unnerved. I’m so used to thinking of criminals as people who I don’t know, people from another world, not my type of people. They’re often depicted as creatures of crime, like a different species, hardly human at all. And the police comfits I’m used to seeing usually serve to reinforce that. The faces are drawn ugly with menace: Dark eyes, untidy features and bad grooming. Maybe they’re described like that because the victims of these crimes are usually so traumatised, so terrified by their attackers that the lasting impression they have of their faces is of a monster. I don’t know who the victim of the Tingalpa attack was but if she has described her attacker accurately to the police comfit artist, she has shown some serious nerve to create an image of a real person. And it’s the accuracy of this image that will hopefully help the public make a connection between the comfit and someone that they have seen or do know. Which brings me to a key question. If you look at a comfit and it reminds you of someone, what do you do? If the comfit looks exactly like someone you know, the answer should be clear-cut: Call the police. But what if the comfit looks only vaguely like someone you know? 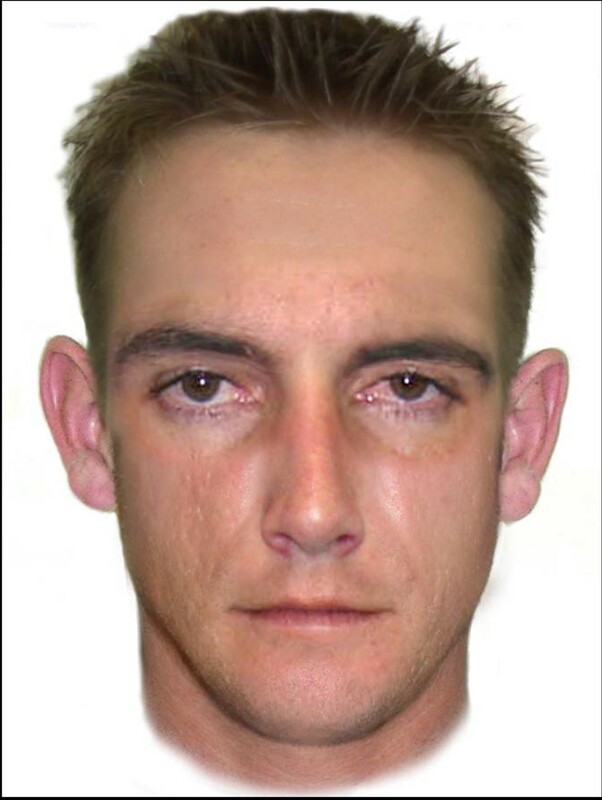 There’s something about the Tingalpa suspect, the ordinariness of his features depicted through extraordinary artistry that makes me think I might know this person. Actually, he reminds me of a few people. So what do I do? At what point do I say I’m going to approach the police and mention this. And what happens to the relationship I have with those people after that? Information from the public is of course kept confidential by police. So if you’ve told them about someone you know, it may never be revealed that the information was supplied by you, especially if you report it anonymously. Of course if you don’t feel confident enough about your suspicions to report them then where do those suspicions go? Do you continue to harbour them? Do they make you feel differently about the person who looks like the person in the comfit? It’s not an easy question to answer, but hopefully the technology and artistry being used to create police comfits can continue to make the process of identifying a suspect more accurate. As for the Tingalpa attacker, I still don’t know for sure whether the comfit image actually looks familiar or whether the features depicted are just commonly held features. As unnerved as it makes me, I’ll continue to ponder that face and maybe it will become clear. In the meantime, if you have information about a crime and you wish to report it, contact Crime Stoppers on 1800 333 000. No connection at all but that is dreadful news that even with an image as clear as this nobody has come forward. I hope your friend gets justice eventually. ← What R U having?